In a summit organised by the Association of Campus Journalists, OAU, the association played host to veteran journalist and former OAP of Splash fm, Ibadan, Mr Edmund Obilo. The Summit which sought out to help highlight the roles of students in maintaining sustainable development in OAU featured paper presentations from Some students of the institution had Obilo had the major speaker of the event. In his address, Edmund Obilo highlighted the faults of the various stakeholders, decrying the rapidly falling standard of Universities in the country. In his words, Obilo stated that the larger society was supposed to be a simulation of the University system and not the other way round. Obilo whilst condemning the current state of the National Association of Nigerian Students (NANS), described his passive critical role in his days as an undergraduate at the University of Benin. Following the reportage of several cases of physical assaults by lecturers over the past few weeks, the Vice Dean of the Division of Students Affairs of the Obafemi Awolowo University, Dr B.S Afolabi, has claimed that investigations have commenced on the cases and any lecturer found guilty in any of the cases would be made to take responsibility for his or her actions. He also warned students against aggravating lecturers as different people had different temperaments and the lecturers too were human. He also cited the case of students assaulting lecturers in times past, attributing the current state of the Union as a result of one of such events. The smile Emeka had on his face earlier was disappearing slowly making way for a gloomy mood like a cloid that comes suddenly on a sunny day. “Emeka, Emeka, oya smile for me na” Ada teased trying to tickle him. Emeka pushed her away and she landed on the bed, her skirt raised exposing the upper part of her thigh. Ada was shocked, they had been enjoying themselves, gisting and laughing since she came to Emeka’s house an hour before, she did not understand the sudden change of mood. He made a quick motion to the door, locked it and threw the key inside his pocket and in one quick motion moved towards Ada. Reacting to rumours that he dropped out of school for his music, popular roots musician, Segun Akinlolu, popularly known as Beautiful Nubia, has come out to debunk the claims and clear the air. He stated at a performance in the Afrika Amphitheatre of the Obafemi Awolowo University that he is a graduate of Veterinary Medicine at the University of Ibadan and even practiced for eight years afterwards before finally quitting to face his music squarely. Passion House with Susty Vibes collaborates with ECOMSA brings Cleanup Nigeria Project (Campus CleanUp) to Obafemi Awolowo University. Cleanup Nigeria project, Passion House with Susty Vibes has collaborated with Environmental Control and Management Students' Association (ECOMSA) of the Institute of Ecology and Environmental Studies on the Obafemi Awolowo University, OAU Campus Clean-up. This campus clean up would be the first in the series of other campus clean up that would be carried out in the Universities across the Nation. As the organisers call for partnership from government, civil societies, NGO and individuals with equal thirst to keep Nigeria clean and green. Investigative journalist and popular On-air personality, Edmund Obilo, is set to visit the Obafemi Awolowo University, Ile-ife tomorrow Saturday, 22nd October 2016 for the Great Ife Students Summit hosted by the Association of Campus Journalists, OAU. Obilo, who is popular for his radio show, Voices on Splash FM in Ibadan would be interacting with students on the theme; "Towards Reviving A Sustainable Development In OAU: The Role Of Students"
The summit would be holding at the ICAN Lecture Theatre at 10:00 am. Do endeavour to attend. Students of the Obafemi Awolowo University Ile-Ife once again reasserted OAU as 'Oba Awon Unifaasiti' on Tuesday, 18th October 2016 in the University of Ibadan, Ibadan as students from the department of Nursing emerged winners in a quiz competition. The quiz which was the third of Its kind was a part of the University of Ibadan Nurses Week 2016. The week was organised by the Nigerian Universities Nursing Students’ Association(NUNSA), UI Chapter. The quiz competition which was actually the last on programme for the day had representatives from five participating schools, Afe Babalola University Ado-Ekiti (ABUAD), Babcock University Ilishan (BABCOCK), Obafemi Awolowo University Ile-Ife(OAU), University of Ibadan (UI) and University of Ilorin (UNILORIN). There are many kinds of professions on Obafemi Awolowo University campus; however, none is as important as Town Gboro (Campus Shuttle) Driving. This profession deserves worthy recognition, hence this essay. Unfortunately, as a campus shuttle driver on OAU campus, no one appreciates you. So many ungrateful students do not understand that you are doing them a great favour. However, out of the benevolence of my heart, I have decided to carry out some research and in so doing discovered several secrets for all those in the Town Gboro Driving profession, both existing and aspiring. This is to invite Predegree aspirants to a marathon revision class scheduled to hold between Monday 24th October and 7th November 2016. Convenient accommodation arrangements have been made for candidates from long distances at an affordable cost and the revision class would cover all necessary requirements to achieve success in the Predegree entrance examination. 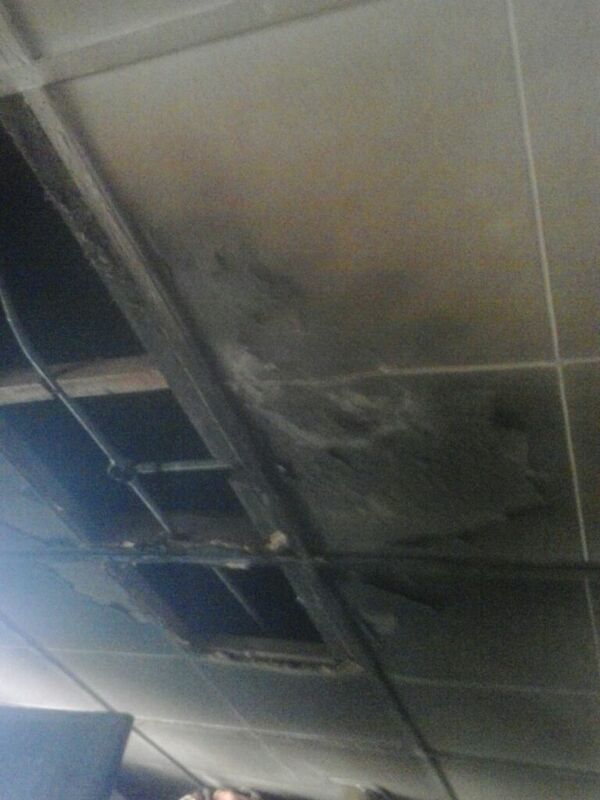 Things almost turned awry on Tuesday, 19th October, 2016 at the Moremi Hall of Residence at the Obafemi Awolowo University as a leaking gas cylinder caught fire. Save for quick intervention of apt persons at Moremi Hall of residence at Obafemi Awolowo University, it would, probably have been a different situation at room 303 Block E, Moremi Hall. In the affected room at about 2:20pm, there were four girls, one of whom was unknowingly cooking on a leaking gas cylinder before things got out of control, leading to a fire outbreak. According to an eye witness account related to OAU Peeps News Agency correspondent, immediately the fire broke out, the owner of the gas cylinder ran to the portal for help but unexpectedly, the porter officials did not show up on time. No casualty was however recorded and they were able to recover some of their property from the fire outbreak. Here are some pictures of the affected room. The seemingly calm atmosphere of Obafemi Awolowo University is now fading away, as the community was disturbed again on Wednesday, 19th October 2016. Members of the OAU chapters of the Non Academic Staff Union of Universities (NASU) and Senior Staff Association of Universities (SSANU) gathered in their large numbers at the front of the University's Senate Building. The workers, who had left their duty posts, were seen chanting solidarity songs in their loud voices. 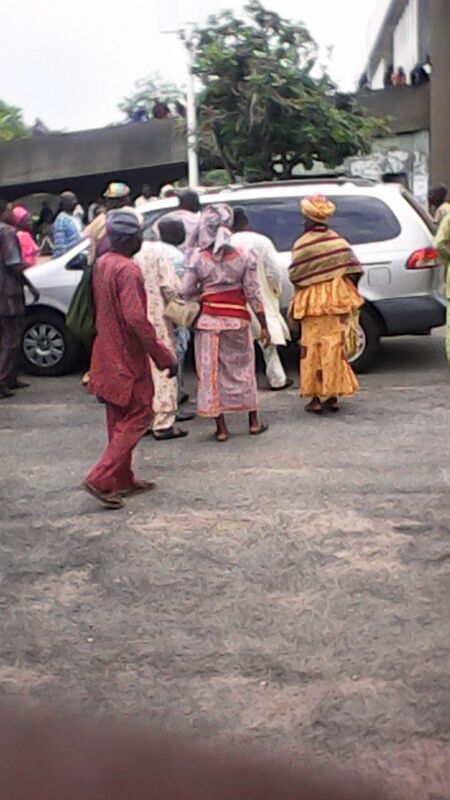 Inquiries made by OAU Peeps News Agency revealed that the gathering was as a result of an announcement made by the leadership of the two unions; that their members should jettison work with immediate effect for an important meeting. It was learnt that the University Management was petitioned by some aggrieved parties (especially from the camp of the ousted Management) over the source of the recently paid stack of allowances received by the University workers. Back in 1950s, Andy Warhol said that in the future everyone would become famous in 15 minutes. Well, the future has come and proved that he wasn’t mistaken. Modern web technologies and the diversity of devices open the wide array of opportunities, where everyone can become, for instance, a blogger. All you need in order to become an opinion leader is a place to express your opinion. A personal blog will be a perfect fit. Don’t worry, it is really easy to start. 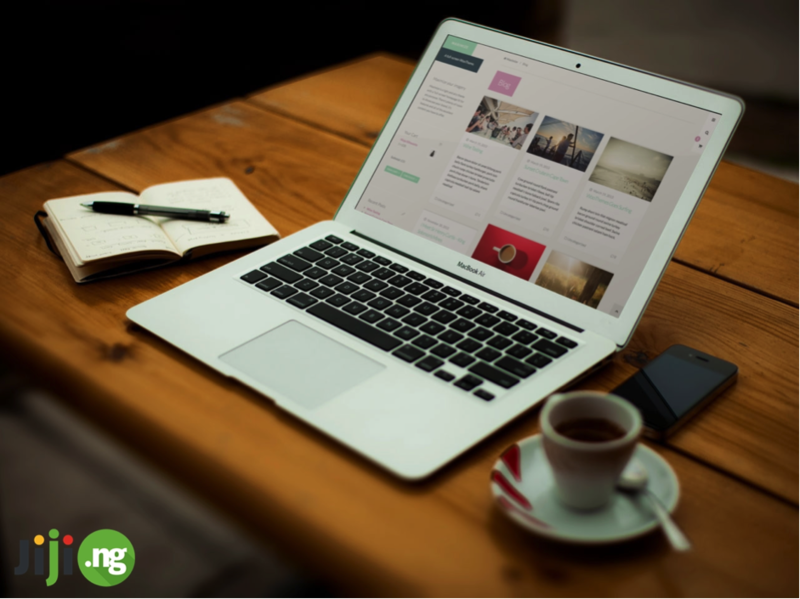 Here are some blogging tips for you. 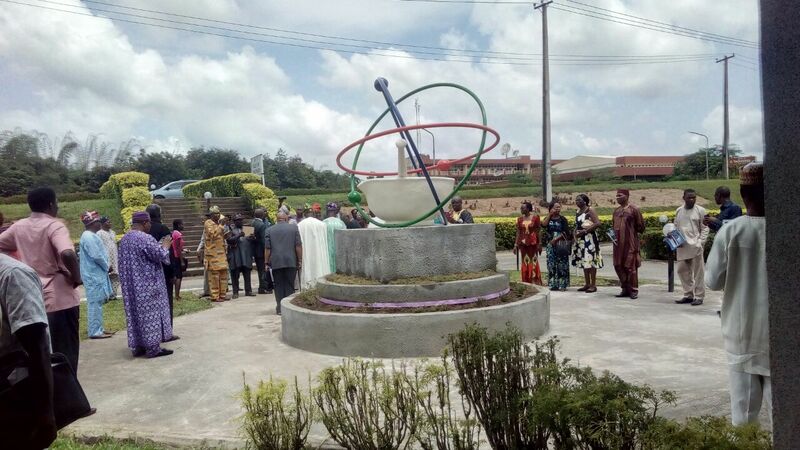 History was made earlier this week as the Faculty of Education of the prestigious Obafemi Awolowo University, Ile-Ife commissioned a new 30 rooms office complex. This building, according the Dean Faculty of Education, is the first development on campus that is executed with direct labour and without fund from the university management and any government agency. The ceremony which was anchored by the Public Relations Officer of the University, Mr Abiodun Olarenwaju had in attendance former registrar JAMB, Prof Dibu Ojerinde, the university Registrar, Mr Dotun Awoyemi, the Chairman Committee of Deans and Dean Faculty of Agriculture, Prof Adeagbo Amusan, Dr Peju Oyebisi, Prof Ehindero, Prof Charles Akanbi, Prof Fransica, and the former dean of the Faculty of Education, Prof P. O Jegede, who initiated the project. The Assistant Inspector-General (AIG) of Police in charge of Zone 11 comprising Oyo, Osun and Ondo states, Dan Bature, has said that any policeman checking vehicle particulars on the highway is on illegal duty. He noted that their duty is to ensure safer roads. Dan Bature made this known on Wednesday, October 19, in Ibadan, the Oyo state capital during a two-day familiarization visit to the state. “The Inspector General of Police is determined to improve on your welfare and pursue the increment of your salary and therefore policemen should stop activities that can tarnish the image of the country." He said. Bature also warned policemen against blocking high ways, saying police patrol vehicles were not supposed to be toll gates and that officers who are unable to key into the laudable initiatives of the IGP to resign from the force. Pre-degree and diploma programmes in Nigerian universities have been scrapped. The National Universities Commission (NUC), which took the action, instructed them to leave the running of such programmes for polytechnics and concentrate effort on producing human capital in the core undergraduate, part-time and post-graduate courses. 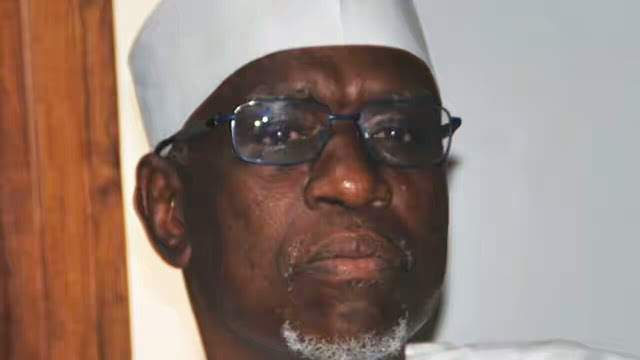 Executive Secretary of the commission, Prof. Abubakar Adamu Rasheed, gave this order at meetings held between October 10 and 12 with vice chancellors of the 143 universities in the country, according to a statement by the NUC yesterday. He also directed that the research directorate of NUC be strengthened to work with those of universities. This is to co-ordinate research activities in universities and ensure relevance of their outputs. He said the NUC, would engage a mix of old, experienced and young vibrant academics to come up with curricula that would not only be dynamic and responsive to national needs, but also conform to global trends. Saturday, October 16 was certainly one with many memories for the Faculty of Pharmacy, OAU as it hosted members of the Class of 1976 in her 40th Anniversary and reunion. The class, which was one of the pioneer classes in the Faculty had produced a number of celebrated dignitaries of the profession. The programme started on Friday, 15th October 2016 with the arrival and registration of members of the class and a cocktail which held at the Faculty of Pharmacy foyer. It then continued on Saturday with a public lecture delivered by Professor(Mrs) M.N Femi-Oyewo, a member of the class and current Dean, Faculty of Pharmacy, Olabisi Onabanjo University, Ago-iwoye. In her lecture, the keynote speaker enlightened attendees on the Evolution of Pharmacy Education over the last forty years and at the end of the event, the class donated a symbolic monument of the Pharmacy profession to the Faculty. Good day people. I know our days have been stressful especially with ongoing tests and upcoming exams. But then, that doesn't mean our fashion consciousness should die. Everyday new trends evolve and vintage re-evolve, while the present ones become stale. On today's trending, the off-the-shoulder top is our concern. 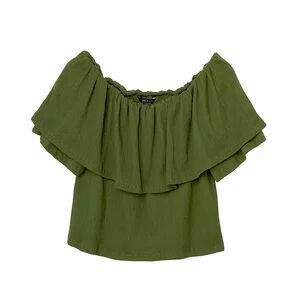 Off-the-shoulder tops can't be worn and look shabby. This closet staple needs a warm weather and a certain level of confidence; happily the skies are getting sunnier. You shouldn't rock it and make a mistake. 1) Don't showcase your bra straps, it’s called an “under”wear. Moreover the idea is to show the skin, why distract the focus? 2) Don't wear a blazers or jacket. If you wanna hide the skin, stick to your camisole dear! This morning (Monday, 17th October, 2016), more names of 2014/2015 graduates of Obafemi Awolowo University have been uploaded on the portal of the National Youth Service Corps (NYSC). 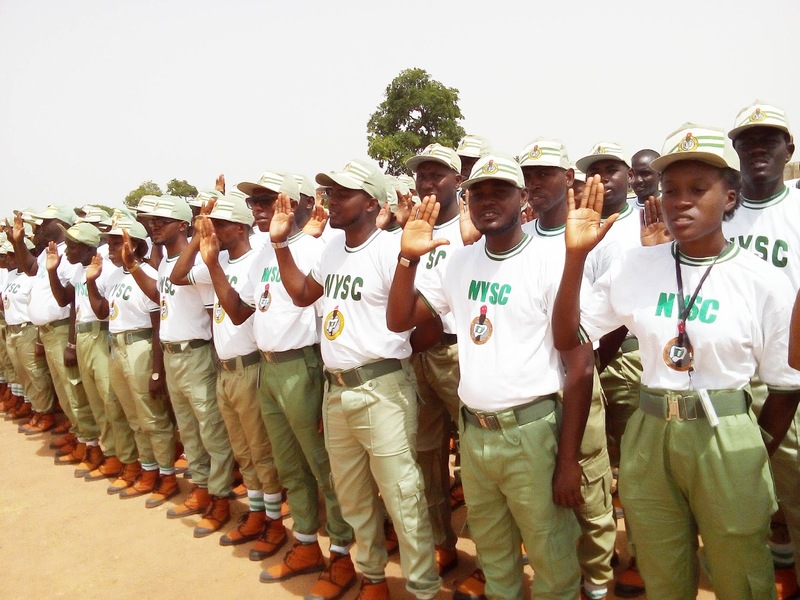 Registration for the Prospective Corps Members (PCMs) of the 2016 Batch B has started today. All eligible graduates, especially those who had their names on the Senate approved list uploaded last month and encouraged to verify their names on the NYSC portal. Before now, due to the NYSC reduced quota given to all schools, the Division of Student Affairs (DSA) had said only the names of about 1,300 out of 4,800 eligible graduates will be sent to NYSC for mobilization. PCMs who successfully register will be mobilized for the Youth Service.